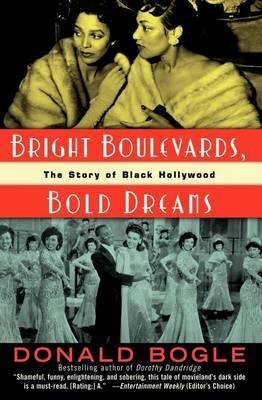 In Bright Boulevards, Bold Dreams, Donald Bogle tells for the first time the story of a place both mythic and real: Black Hollywood. Spanning sixty years, this deliciously entertaining history uncovers the audacious manner in which many blacks made a place for themselves in an industry that originally had no place for them. Through interviews and the personal recollections of Hollywood luminaries, Bogle pieces together a remarkable history that remains largely obscure to this day. We discover that Black Hollywood was a place distinct from the studio-system-dominated Tinseltown a world unto itself, with unique rules and social hierarchy. It had its own talent scouts and media, its own watering holes, elegant hotels, and fashionable nightspots, and of course its own glamorous and brilliant personalities. Along with famous actors including Bill Bojangles Robinson, Hattie McDaniel (whose home was among Hollywood s most exquisite), and, later, the stunningly beautiful Lena Horne and the fabulously gifted Sammy Davis, Jr., we meet the likes of heartthrob James Edwards, whose promising career was derailed by whispers of an affair with Lana Turner, and the mysterious Madame Sul-Te-Wan, who shared a close lifelong friendship with pioneering director D. W. Griffith. But Bogle also looks at other members of the black community from the white stars black servants, who had their own money and prestige, to gossip columnists, hairstylists, and architects and at the world that grew up around them along Central Avenue, the Harlem of the West. In the tradition of Hortense Powdermaker s classic Hollywood: The Dream Factory and Neal Gabler s An Empire of Their Own, in Bright Boulevards, Bold Dreams, Donald Bogle re-creates a vanished world that left an indelible mark on Hollywood and on all of America.